The women of Mt. Pleasant gathered on the beach this morning to pray to the Pumpkin Spice Lords for cooler temperatures to arrive. 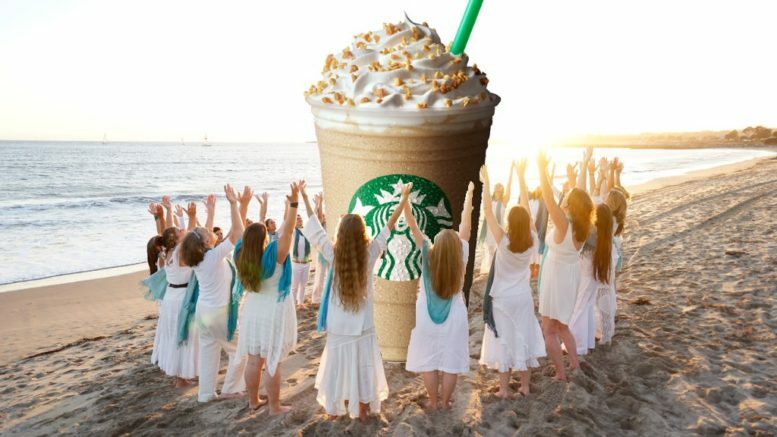 The women surrounded a two-thousand-gallon Pumpkin Spice Frappuccino and faithfully chanted their prayers for help as the sun breached the horizon. The residents of Mt. Pleasant desperately await a response so they can have an outdoor college football party without getting sweaty and eaten by bugs. Temperatures in the Charleston area have been well above average for this time of year. This has prevented local women from wearing their new super-cute elbow patch tunic sweater they’ve been dying to wear. With Halloween approaching and no chilly in sight, begging for help from the Lords of Pumpkin Spice was their only remaining option. Residents are hoping that city officials approve a temperature-controlled dome for the entire area so this tragedy never happens again. They’ll fund the dome by allowing 15,000 more homes to be built on protected wetlands.